Standard Canister used in all of AquaFx units. 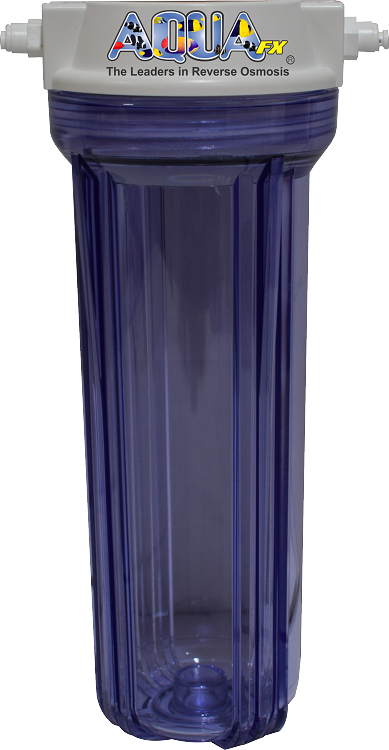 The Clear Canisters family is available in 10 & 20 inch lengths and 2 & 4 inch diameters. These canisters are unique, unlike other housings, you can see what is going on inside them. Please keep in mind that our canisters are measured based on filter size. So while a 2 X 10 canister holds the 2 X 10 filters, these canisters actually measure 4 inches in diameter by 10 inches in height, this is the size of the canisters used on most residential systems.